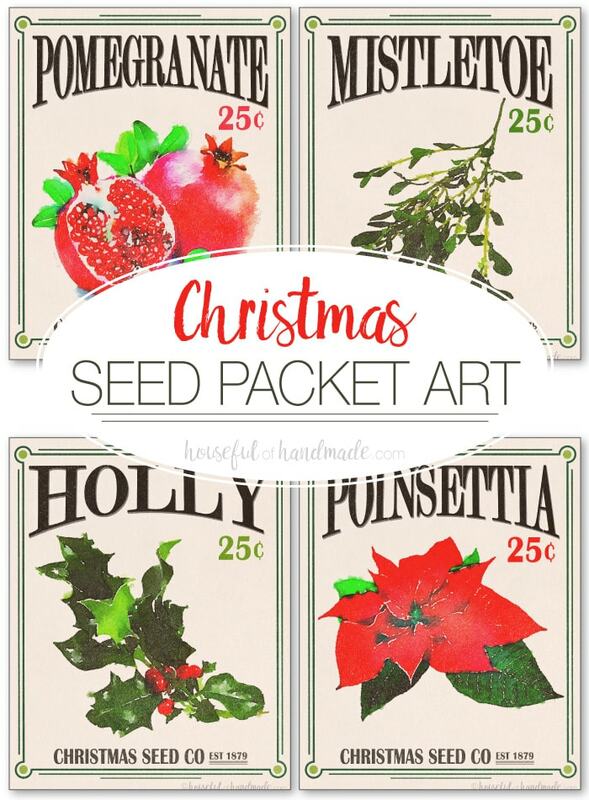 These Christmas Seed Packet Art Printables are the perfect way to add instant holiday decor to your home. The free printables of your favorite Christmas plants add vintage holiday charm to any space. 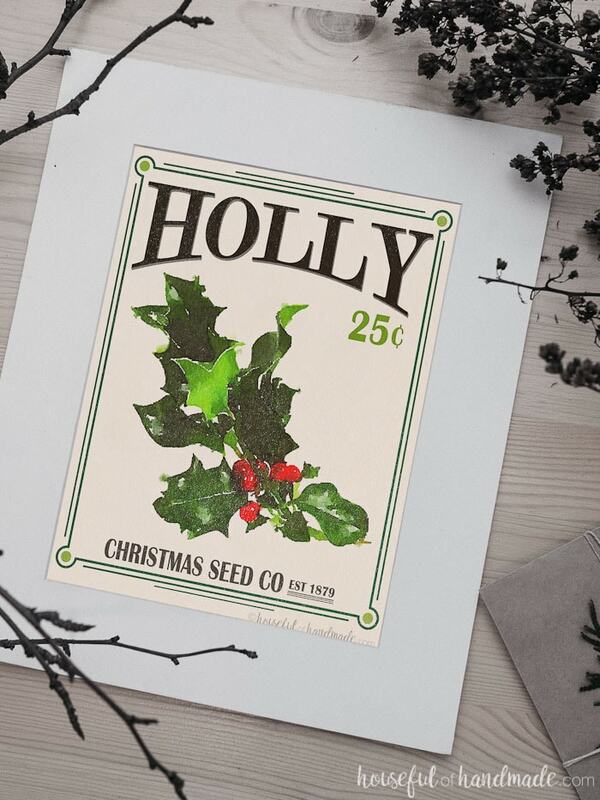 Free printable Christmas seed packet art is the easiest way to add a little rustic charm to your home this holiday season. 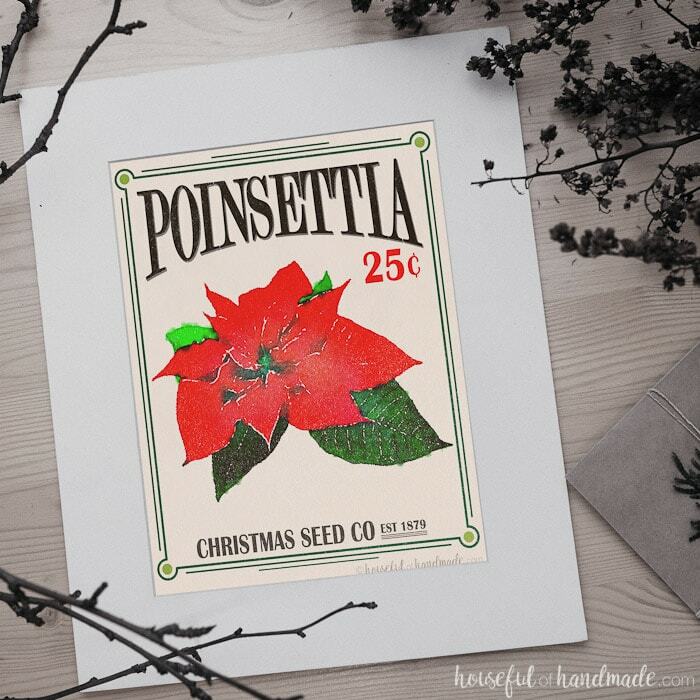 Four classic Christmas flowers and plants were turned into vintage inspired seed packets. With loads of red and green, these beautiful Christmas art prints will help you decorate for the season in no time. I was pissed! Not because it was a bad idea. Not because it was his idea (I love when he gives me ideas). I was pissed because it was such a good idea that I wanted it ASAP! 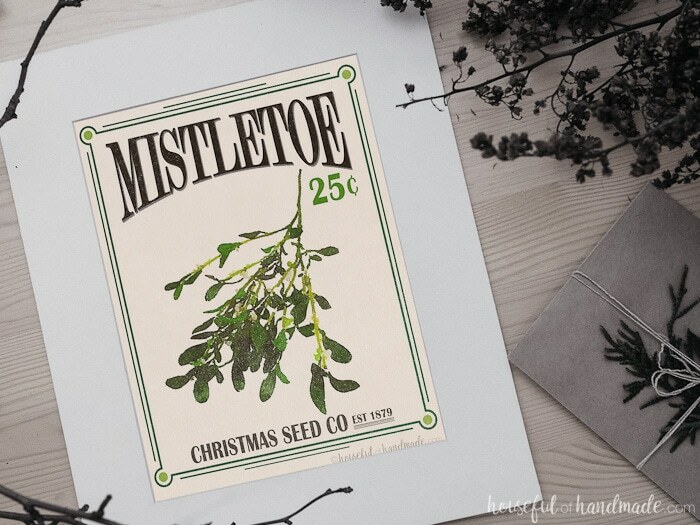 I had a very specific plan for all my DIY holiday decor and there was no room for Christmas seed packet art printables. But I loved the idea and couldn’t stop thinking about it. So instead of working on the carefully planned list, I sat down and created these beautiful printables. They are perfect for Christmas with their reds and greens. And they depict some of our favorite Christmas flowers and plants. What is Christmas without a little mistletoe and holly or a poinsettia or two? Also, our family is obsessed with pomegranates. We can eat our body weight in those little seeds every year. 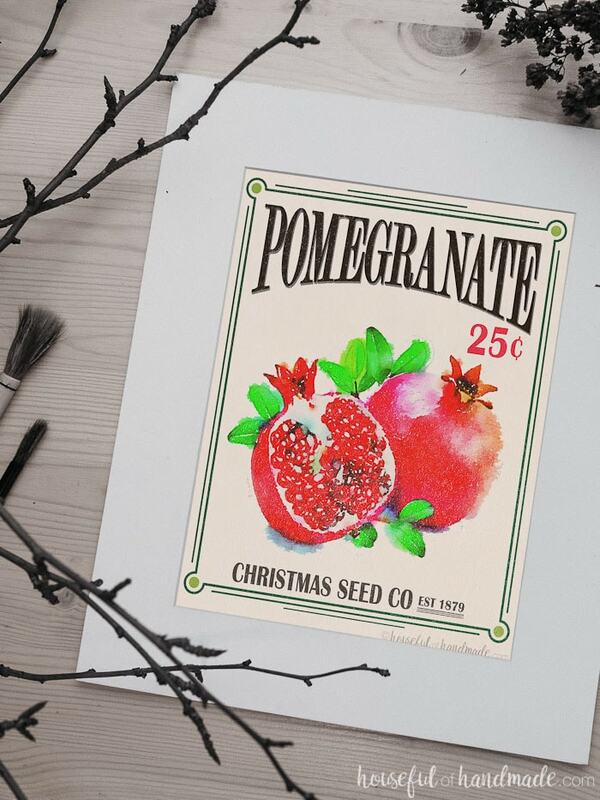 The red poinsettia and pomegranate really help make these vintage Christmas seed packet art printables pop. Since I am keeping with the traditional red and green for our dining room (but I am changing things up a lot in the living room, stay tuned for our beautiful rustic jewel-toned Christmas decor tour), these are perfect for replacing the spring seed packet art. So now that I have these in the dining room, I just have a few more touches of Christmas to finish off the decor. 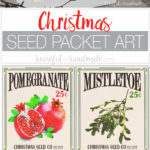 I am sharing the free printable Christmas Seed Packet Art in my subscriber library. Click here to subscribe to my weekly newsletter and gain access to all the freebies. If you already have a password, click here to download them. And don’t forget to check out the rest of my Christmas Decor.